1. Monday, Sept. 24, 2018; 2-3:30 PM PDT (4-5:30 PM CDT, 5-6:30 PM EDT): We welcomed Dr. Susan Jewell, CEO, The Mars Academy USA. 2. Tuesday, Sept. 25, 2018: 7-8:30 PM PDT; 9-10:30 PM CDT; 10-11:30 PM EDT: Welcome to OPEN LINES. Talk about the topics you want to discuss. First time callers welcome. All science, space, STEM, and STEAM subject welcome. Give us a call. 3. Wednesday, Sept. 26, 2018: Hotel Mars. See Upcoming Show Menu and the website newsletter for details. Hotel Mars is pre-recorded by John Batchelor. It is archived on The Space Show site after John posts it on his website. 4. Friday, Sept. 28 2018; 9:30 AM-11 AM PDT, (12:30 -2 PM EDT; 11:30 AM-1 PM CDT): We welcome back Elizabeth Kennick for important news and updates with Teachers In Space. 5. 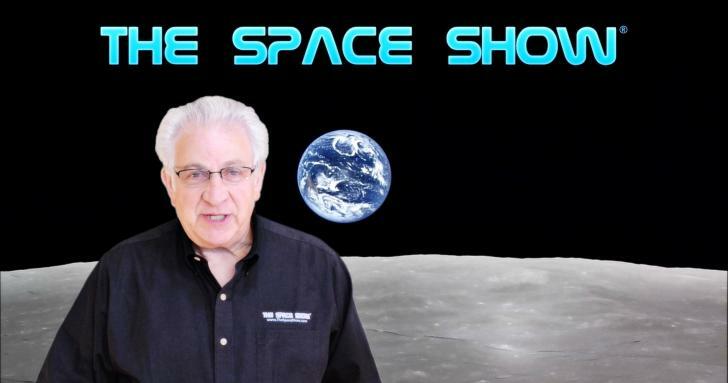 The Sunday, Sept. 30, 2018 program from 12-1:30 PM PDT, (3-4:30 PM EDT, 2-3:30 PM CDT): We welcome back Dan Adamo to discuss his ideas around Exploring The Solar System Through Low-Latency Telepresence (LLT). Please review his PDF (ExpTelepresenceTSS.pdf) before the live program. You can find it on our blog for this show.